I’m an art lover and firmly believe that hanging art in your home will give it more character and personality than just about anything else. But how many gallery walls can a home really handle, you know?! 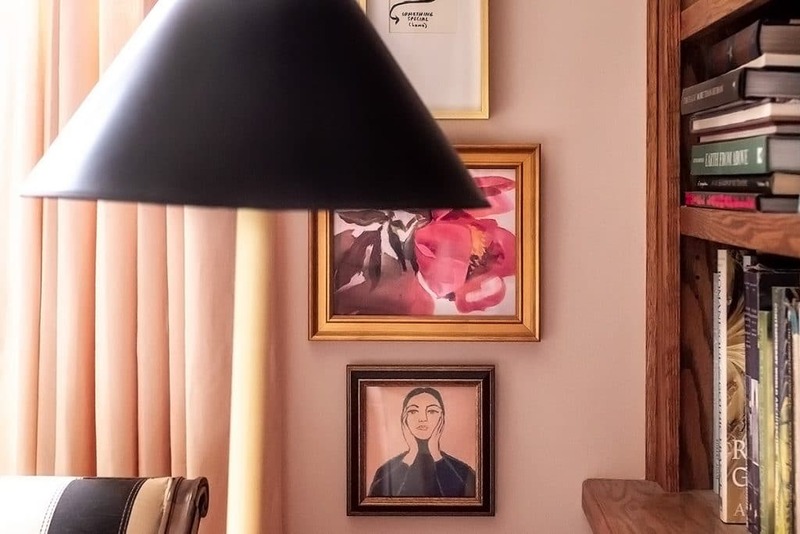 Another point to consider is mixing different types of displays of art in the same space. For instance, our main living space (kitchen, dining, living) is all open and connected with multiple blank walls. But even in our smaller bedroom–I wanted to mix up how we displayed art so it wouldn’t feel redundant. 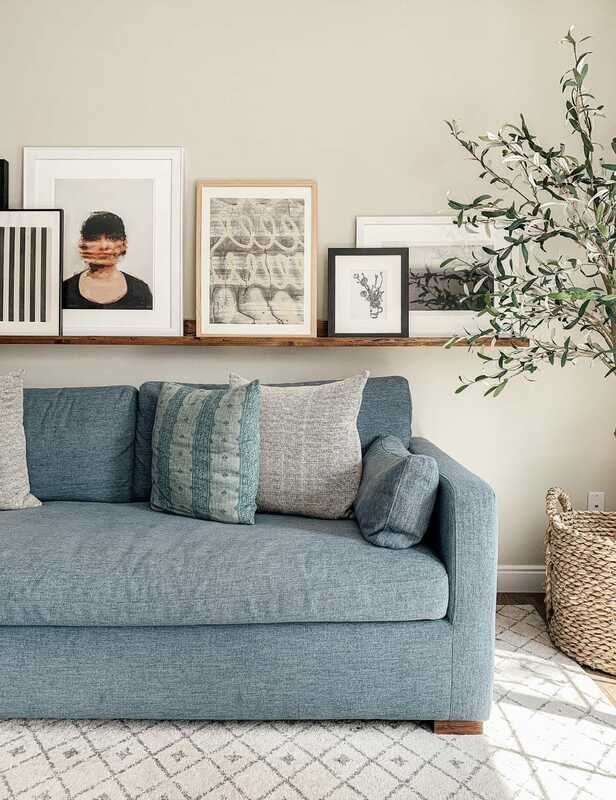 If you look around your home and see one framed piece on multiple walls or are a gallery wall addict–here’s a few ideas to diversify your arrangements. When we DIYed our art ledge back in 2014, we had no idea it would become so popular! It’s still one of my favorite ways to display art. 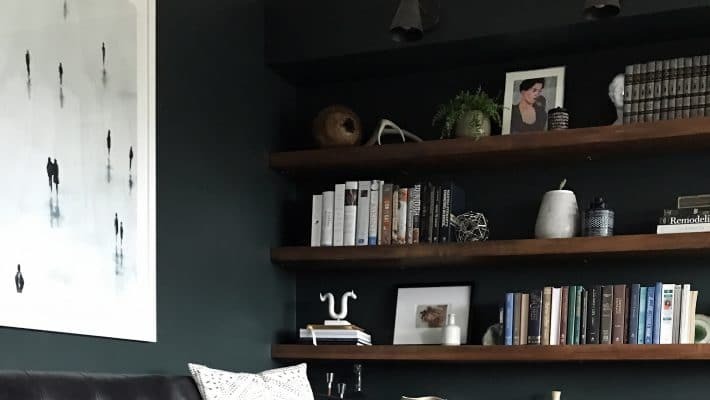 It’s easy to swap out frames whenever you want, I love the depth layering art creates, and when you have a large wall to fill up, it’s a little less overwhelming to fill it with a bunch of smaller frames rather than finding (and buying!) a huge piece. Ready to make a statement? A large piece of art is my favorite way to fill a wall because it still feels simple and non-cluttered while making a big (literally!) impact. 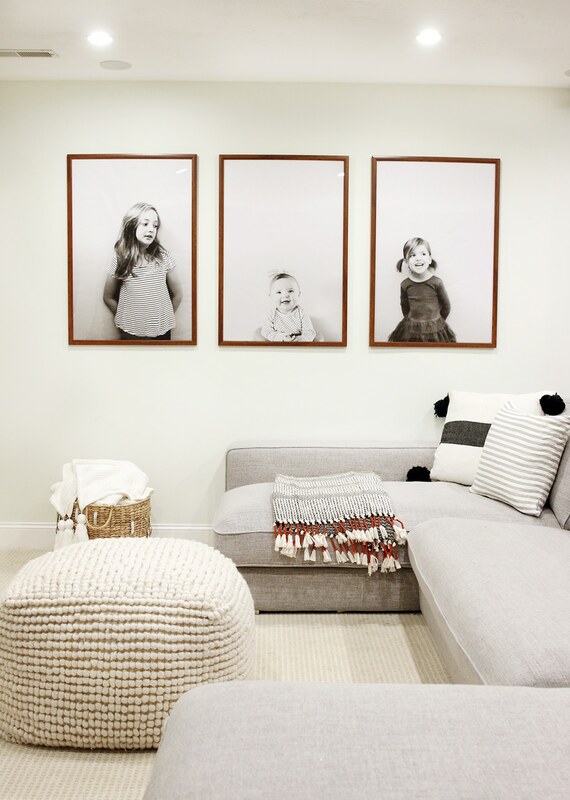 Tip: When you’re hanging one large frame over a piece of furniture it should take up about 2/3 or 3/4 of the length. 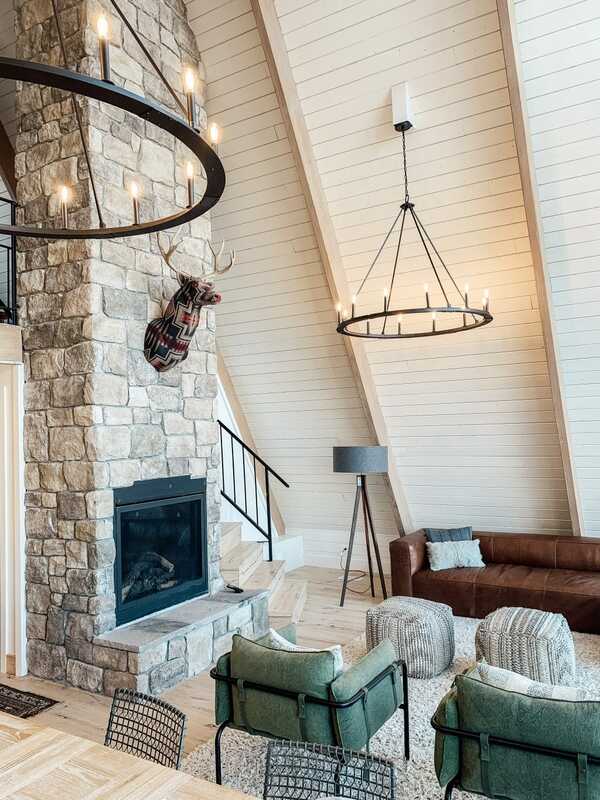 Find our living room sources here. I love organization and symmetry and a bunch of frames all the same sized lined up perfectly. I’d go with similar tones in all the photos on the wall. For the grid in our dining room (see above), we did 9 of these 16×20 acrylic frames with black and white 8×10 photos floating in each. If you don’t want to do black and white photos, run all the photos through your favorite filter or preset to unify them. Find our dining room sources here. Have a narrow slice of wall begging for something?! We had a narrow wall across from our bed that we recently hung three pieces in a column and it was so impactful! I also love Nicole’s column of art above found here. 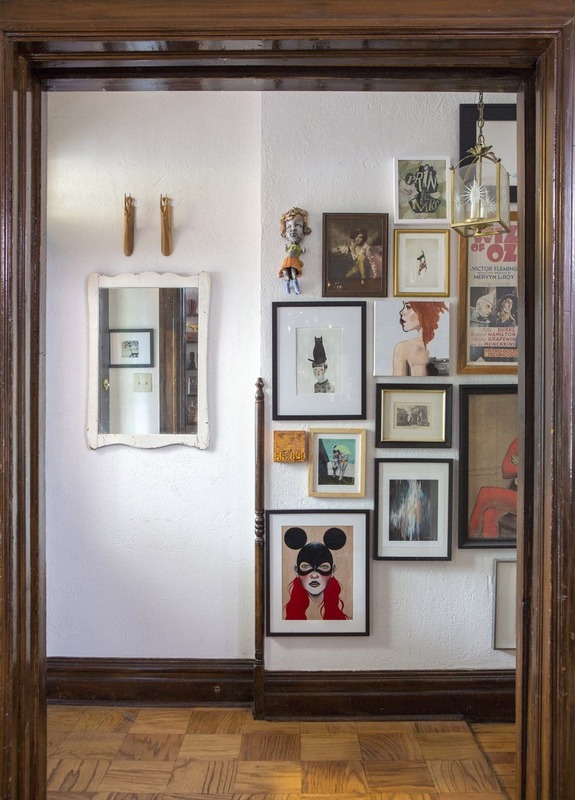 A long hallway is the perfect opportunity for a row of frames. This is most impactful when the frames are all identical while the art varies. 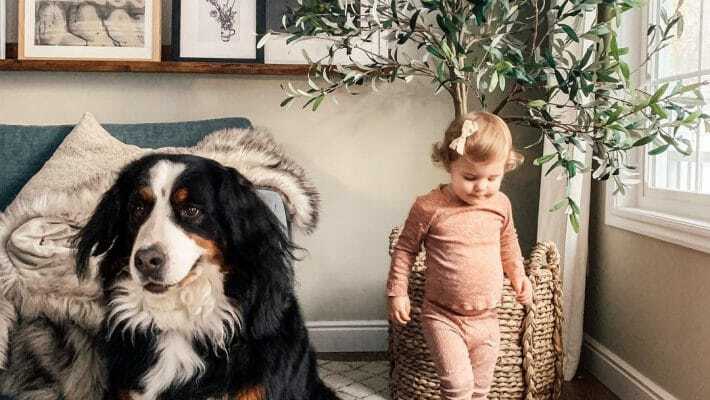 A modern way to display photos of your kids or pets is oversized with lots of white space. This also translates into objects like scissors or shoes that could relate to the nature of the room. See the full tutorial on how we created ours here! Art doesn’t always have to be a framed piece. Maybe it’s an object like hats, a dough bowl or serving boards, instruments, a flag, macrame, some faux taxidermy. 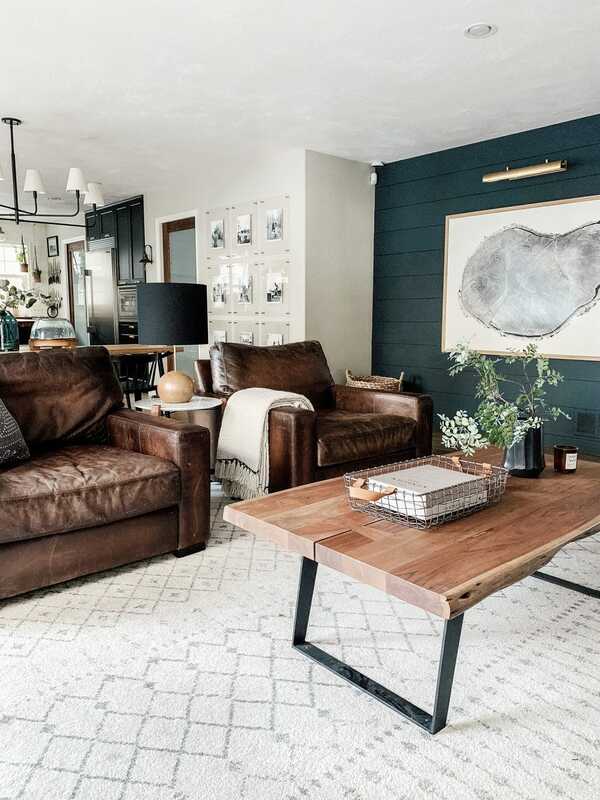 You can’t go wrong with the tried and true gallery wall. My only advice is to use it sparingly. 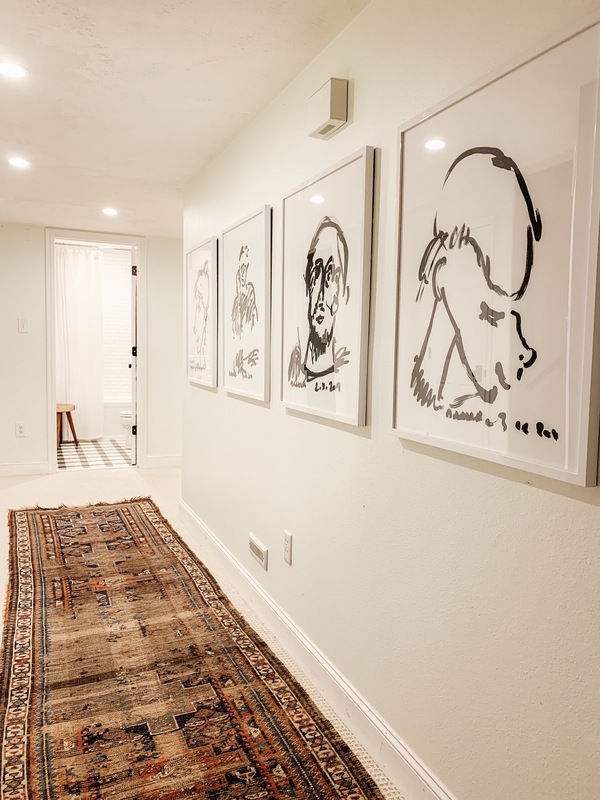 We have one in our whole house (in the upstairs hall bathroom), but my all-time favorite is the one we featured in my sister Victoria’s art-filled house–it’s a work of art itself! 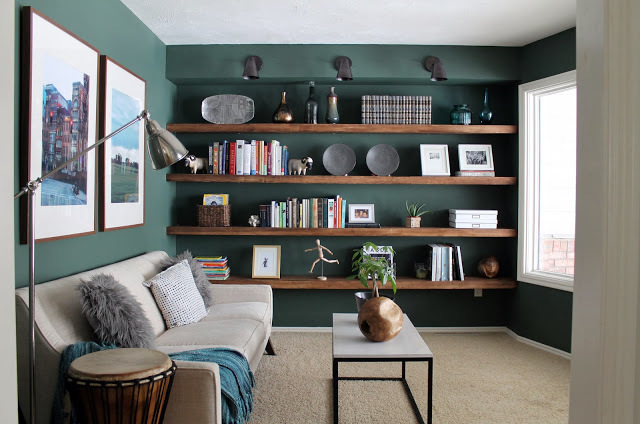 Do you have open shelving or a bookcase in your home? Don’t forget the art! I love leaning a few pieces on shelves to add interest and create special vignettes. I’ve even seen excellent examples of art hanging on the front of shelves, too, if you really want to go bold! Find the sources to our reading room here. And here is the pair of prints we used in our laundry room. I hope this gives you lots of ideas if you’ve been staring at a blank wall. Let’s fill them up! I really like some of your suggestions to mix it up. I’ve tried to subscribe to your blog multiple times but I still don’t get an email when there is a new post. Very good! I’m trying this again, for some reason my comments don’y stay. Please help! How do you like your plexiglass gallery wall? I was surprised to not see it on here. Regardless, I want to do the same but worry the glare will be annoying. Thoughts? The photo of the dining room didn’t upload. Thanks for the roundup! Love this post! I have many blank walls that need filled! 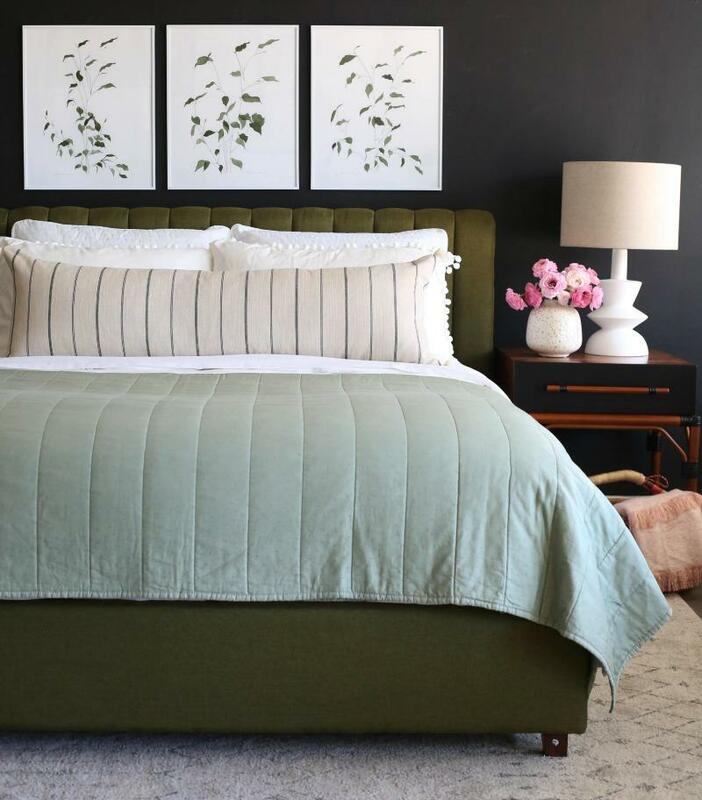 I agree with other recent commenters that all your posts lately have been very helpful for giving me lots of good ideas for small changes/updates for my house. In bathrooms with showers does any type of art work better with the moisture? Framed with Glass? No glass? Painting on canvas? Print on canvas? Print on metal? Looking to buy a big piece in our recently remodeled bathroom but don’t know what’s best. A big contributing factor for that is your climate. If you live in a more humid climate, artwork will be more likely to warp due to moisture. Framing in glass or plastic is best then. If you’re in a more dry climate like us, you can get away with just about anything. Great post! We have a family room with two adjacent walls. The longer of the two, which is quite long, houses a tv over a credenza. (A built-in wouldn’t work in that spot.) 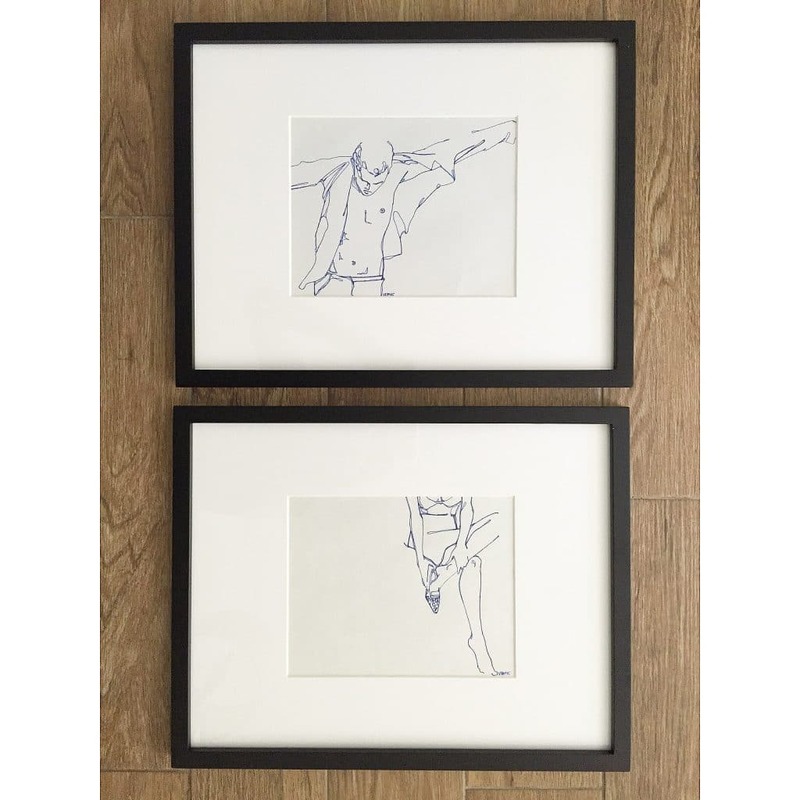 Would you unify the art on the two walls or create two cohesive but different identities? I definitely like the variety in your living room. I think where I’m stuck is that there’s no architectural differentiation in my space. 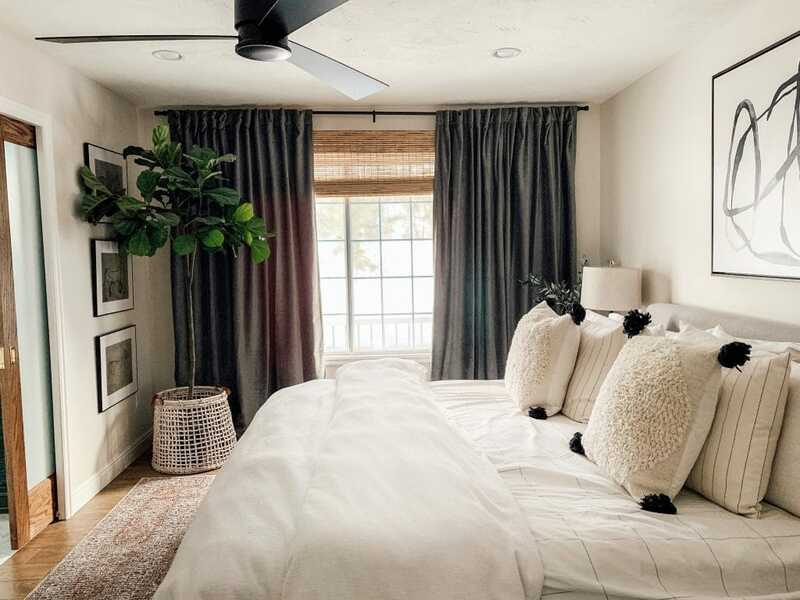 The two walls meet at a corner which makes them feel more “married together”. I think I’ll sketch out some ideas or use good old painters tape. Have a wonderful trip!! What would you suggest for stairways or stairwells? I feel like those spaces are so tricky! I prefer moldings and wainscoting for staircases personally! I needed this. I moved last summer from an older home with zero large blank walls — everything was broken up by moldings, niches, windows, unique rooflines, etc. 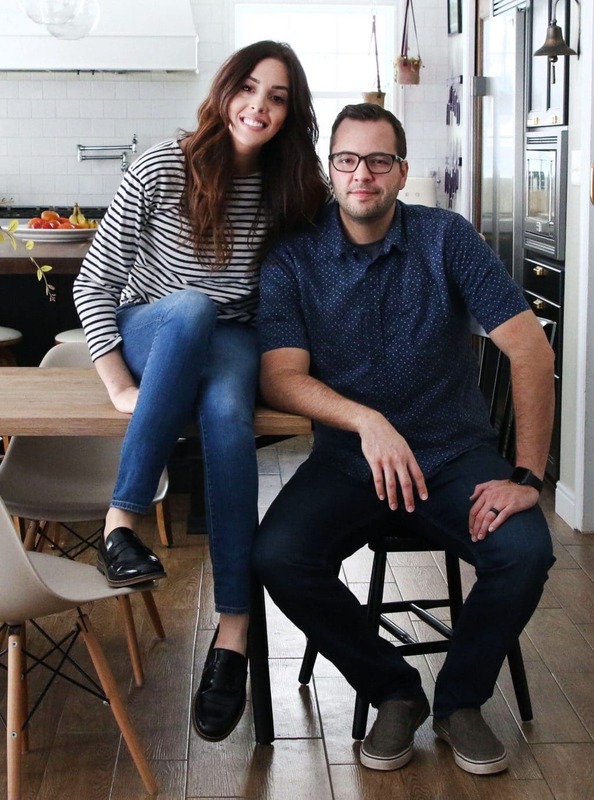 — to newer construction with 10 foot ceilings. I still haven’t hung anything on the big blank walls because all my art is small and I am stuck. It can be daunting. Thanks for the inspiration, it’s a great starting place! I had a gallery wall in my early decorating days and these days it’s just too busy and too much! 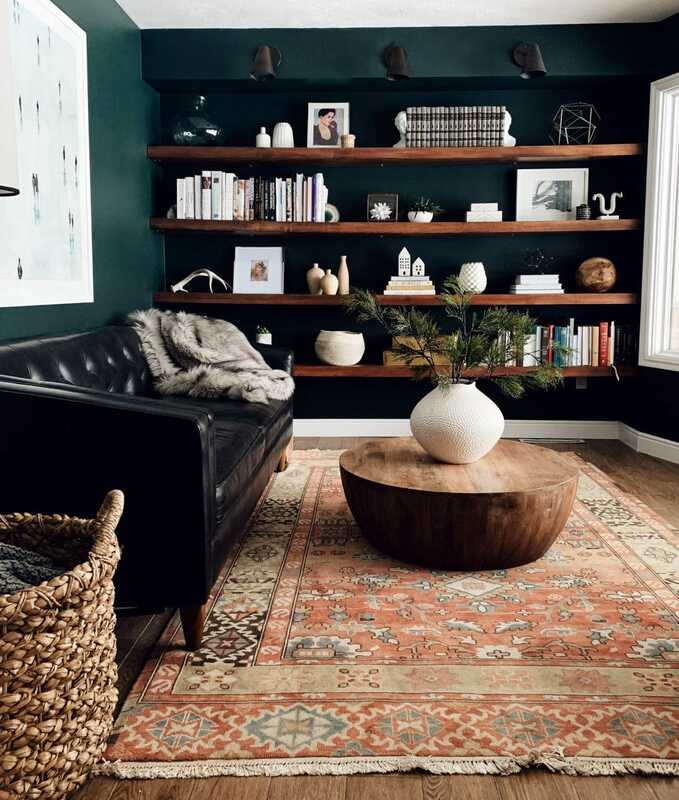 I need quieter decor at this season of my life- but you are so right, several single large pieces on walls aren’t as interesting as one or two of those mixed in with another display method. This has me thinking about where I’d like to do a column or diptych. I currently have not one piece of art in my home, but would love to start with a picture ledge. How do you determine how long your picture ledge should be? I’d like to hang one over my 125in sectional, but I’m unsure about measurments. Thank you for posting this thorough and thoughtful piece! This is exactly what I’ve been struggling with for my own home. Thanks for all the great ideas and help! You guys are my favorite blog to read each day!! !